A segment hosted by CNN’s Don Lemon on May 18, 2017, got a little heated. Lemon and one of his guests, conservative radio host Dennis Prager, sparred over an apparent increase in anti-Semitic incidents after the 2016 presidential election, and who was to blame. Prager said there was no rise in anti-Semitic incidents, and the incidents that did occur didn’t have anything to do with Donald Trump. The Justice Department said that Thompson appeared to have made “at least eight of the JCC threats as part of a sustained campaign to harass and intimidate” his victim. 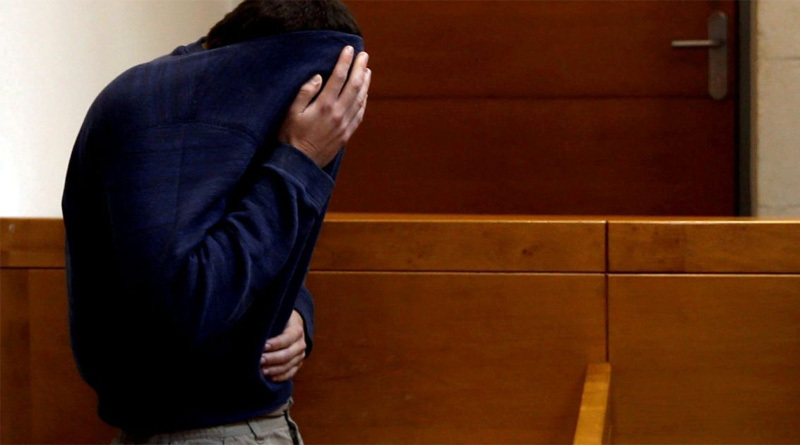 Then, on April 21, the Justice Department announced that charges had been filed against Michael Ron David Kadar, an 18-year-old resident of Israel with dual citizenship in the United States and Israel. Israel refuses to extradite this scum bag. Maybe if America begins to cut off the massive welfare to Israel then Israel will reconsider. The charges in question were for making telephone bomb threats against Jewish facilities in central Florida and for providing false information to police in Georgia. Prager’s on target when he cites Thompson and Kadar as the two individuals charged so far with making Jewish community center bomb threats. Somewhat less certain is the total number of threats called in to Jewish community centers. It is reported by law enforcement that Kadar made 2,000 hoax hate calls to Jewish centers. The FBI declined to comment further to PolitiFact, citing the ongoing investigation. So the exact number of threats the two individuals made — once duplicate calls and calls made to non-Jewish targets are set aside — is hard to nail down. The Southern Poverty Law Center, a group that tracks hate crimes, has tracked upwards of 170 such threats made internationally and domestically. And the Anti-Defamation League — another group that tracks hate crimes, and which was a target of a number of the calls in question — has identified 167 such threats in the United States in Canada. A low-ball estimate to ameliorate and diminish the overwhelming number of hoaxes. Given this data, Prager has a point that most of the bomb threats are traceable to the two individuals who have been charged so far, and he’s also correct that Kadar has been charged with making many more than Thompson. Aryeh Tuchman, associate director of the Anti-Defamation League’s Center on Extremism, said that there are probably a modest number of bomb threats not traceable to either of these two suspects. “The two individuals that Prager mentioned accounted for the vast majority of the bomb threats, but not all of them,” Tuchman said. That said, Tuchman added one further piece of evidence that Thompson and Kadar account for the vast bulk of threats: “Thankfully, there have been no further bomb threats recently,” he said. Incidents in 2016 cited by ADL include instances of harassment (such as voice mails or social media attacks), vandalism (such as graffiti) and assault (including one incident in which two shots were fired at a victim’s vehicle). What about the Jews’ embrace of the Muslim population during these terror attacks? Have we heard any of these Jewish organizations denounce the jihadist extremists? Tuchman added that the number of incidents in December 2016 were almost 70 percent higher than the number of incidents in December 2015. He’s close to the mark in describing the overwhelming role of two suspects in making bomb threats against Jewish targets earlier this year.